If you followed our teardown report of the 13-inch 2018 MacBook Pro, you would have noticed that the teardown experts managed to find a membrane on the keyboard, and there is actually a reason for this. MacRumors recently got its hand on an internal document circulated to Apple Authorized Service Providers. 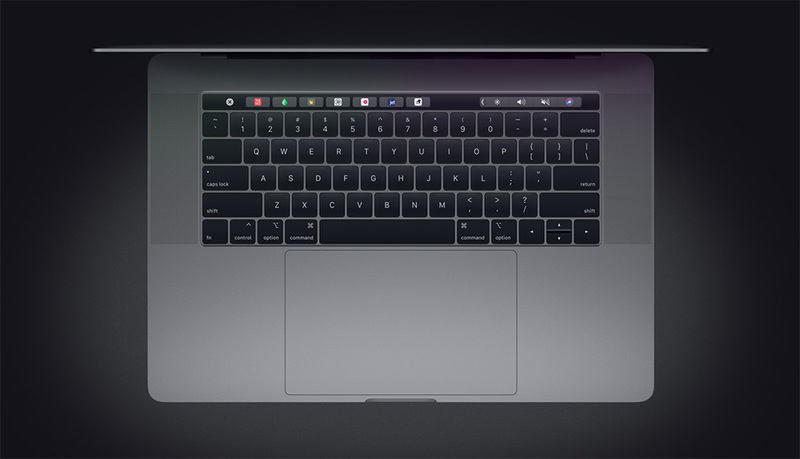 Details of the document come from a reliable source and state that Apple has confirmed that the third-generation keyboard on 2018 MacBook Pro models features a membrane which prevents debris from creeping into the butterfly mechanism and crippling the lifespan in the end. There is a membrane under the keycaps which prevents dirt from entering the butterfly mechanism. The process to replace the space bar has also changed from the previous generation model. The document states that repair documentation and videos will be presented when keycap parts begin selling officially. Last week, the teardown crew at iFixit inspected the new 13-inch MacBook Pro with Touch Bar and the entire process revealed that a slim silicone barrier beneath the keycaps, with the experts surmising that it was done to prevent dirt from seeping in. Apple has only publicly confirmed that the latest MacBook Pro models have an upgraded third-generation keyboard for quieter typing but many people guess that the silicone membrane was put in to prevent dirt and debris from entering the device. While it is true that the silicone membrane under the keys muffles some of the noise when the keys are pressed, it also serves as a barrier, preventing dirt and debris from clogging the keys and blocking the key mechanism. Apple had recently applied for a patent for a procedure for ‘ingress prevention for keyboards’ made to block dust from getting under the keys. It resembled the silicone barriers that are beneath the new keyboard keys of the new MacBook Pro. Even though Apple claims that the third-generation MacBook Pro keyboards were not made to keep the dust away per se, but it acknowledged that debris often makes keys inoperable. You can also try using compressed gas or an air blower to get rid of dust from time to time.